Caorle is a small and delightful little town. One of the most beautiful and peculiar beaches of Caorle is right in front of the Hotel Sara, and is reserved for the guests of the Hotel and of the residences Da Canta and Al Sole. 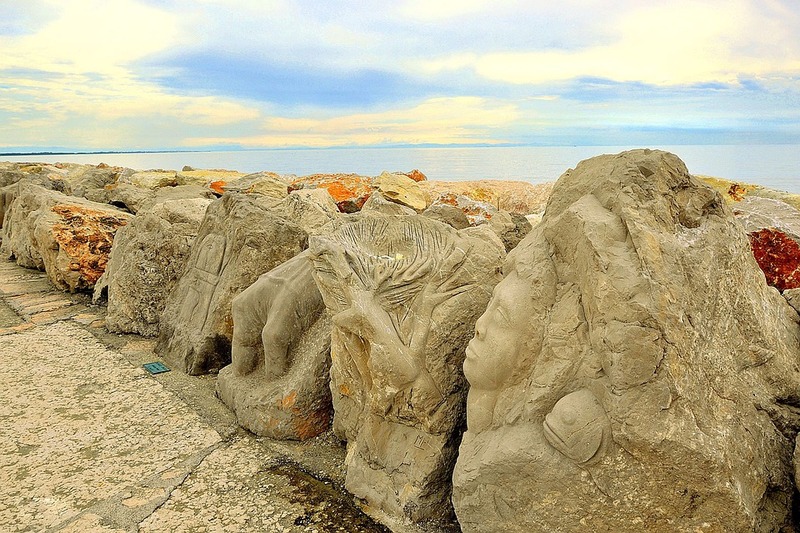 Along the beach there is the famous promenade “Scogliera viva”, an open-air exhibition of sculptures engraved in the rocks, set in one of the most romantic spots of the Adriatic Sea. Fully free umbrella and sunbeds rental service. Caorle is a small but charming sea town. It is the best place both for families with children and young couples looking for a romantic and relaxing holiday or weekend. 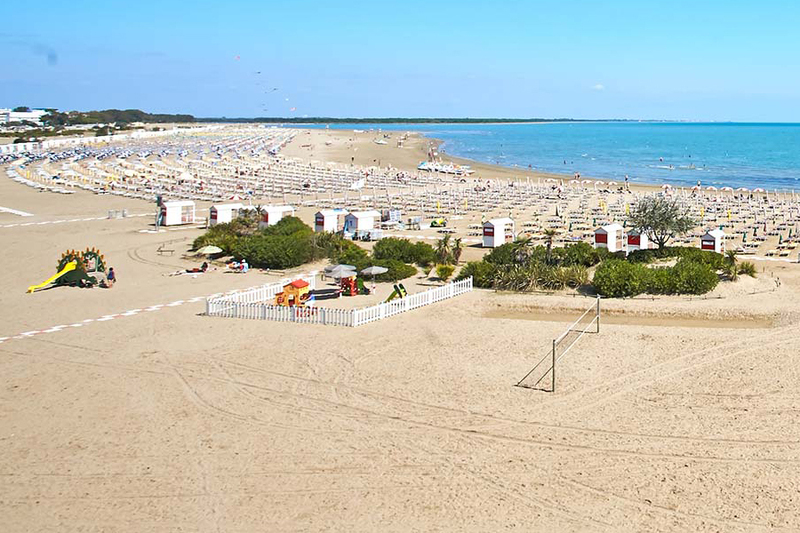 The beach of Caorle, which can be accessed directly from our hotel, is characterised by light-gold fine sand. The beach is also suitable for children and elderly people with limited mobility, as the path slopes gently to the sea. The area is maintained through a waste sorting system that ensures cleanliness and order. The seabed gradually slopes, and the water is clear and crystalline. The beach of Caorle has obtained the Blue Flag award for 10 years. The Blue Flag was established in 1987 by FEE (Foundation for Environmental Education), a non-profit association that safeguards the environment and evaluates the bathing areas where the following criteria are respected: quality of water and coast, environmental education, safety measures and facilities. 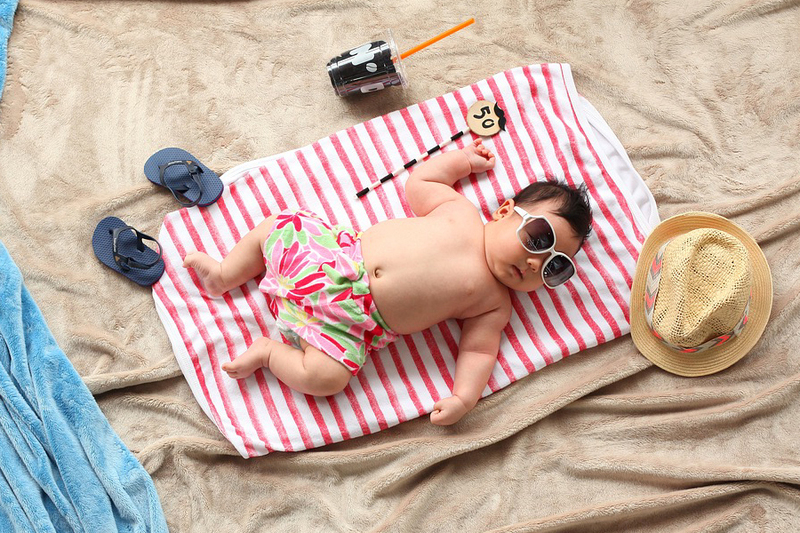 The 3-star superior Hotel Sara offers a rental service for beach umbrellas and sun beds, which are offered for free to all its guests. The purchase advantages are applied only for direct bookings from this site or via e-mail (info@sarahotel.it) and can not be combined with current promotions. 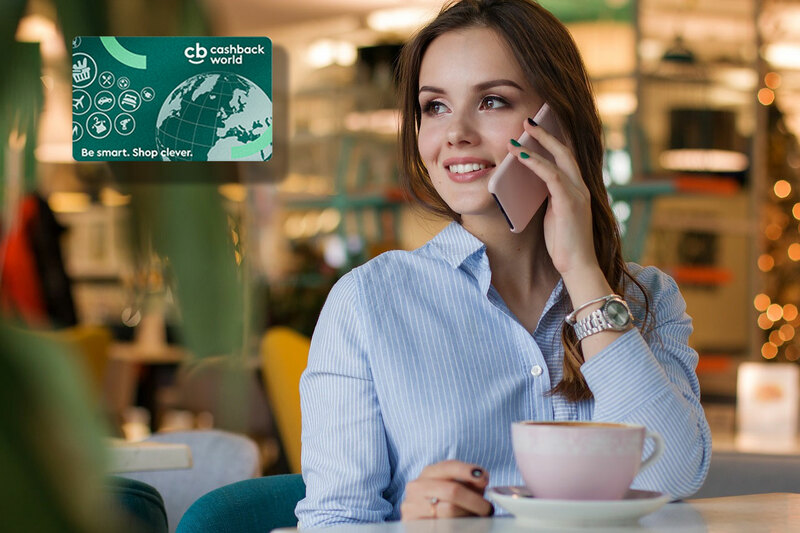 With us you can request your Cashback Card.